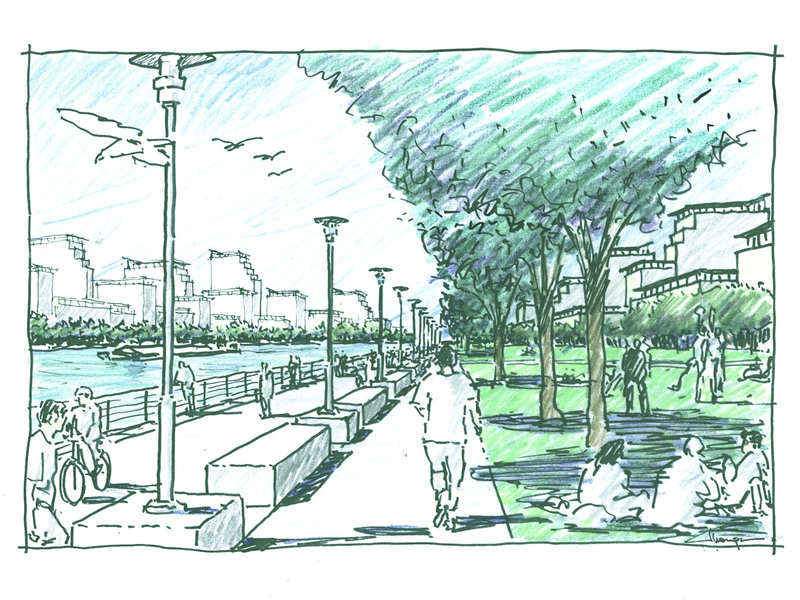 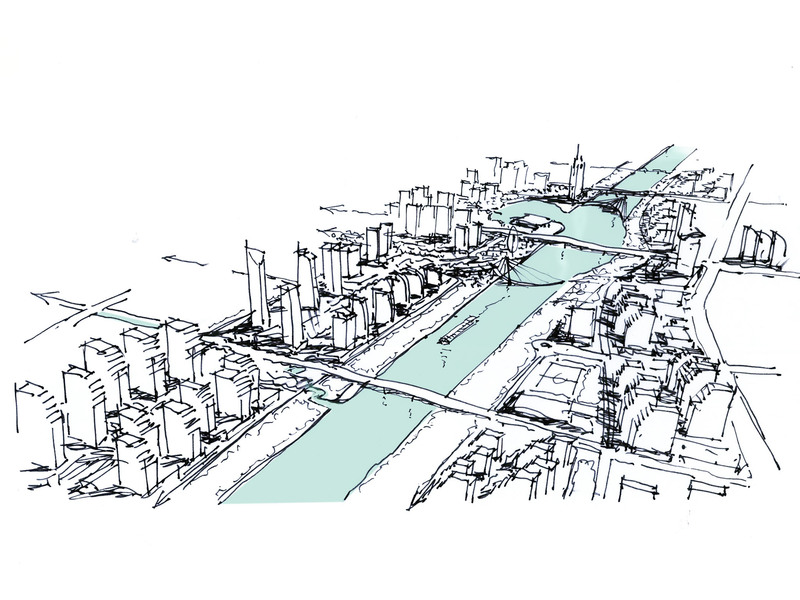 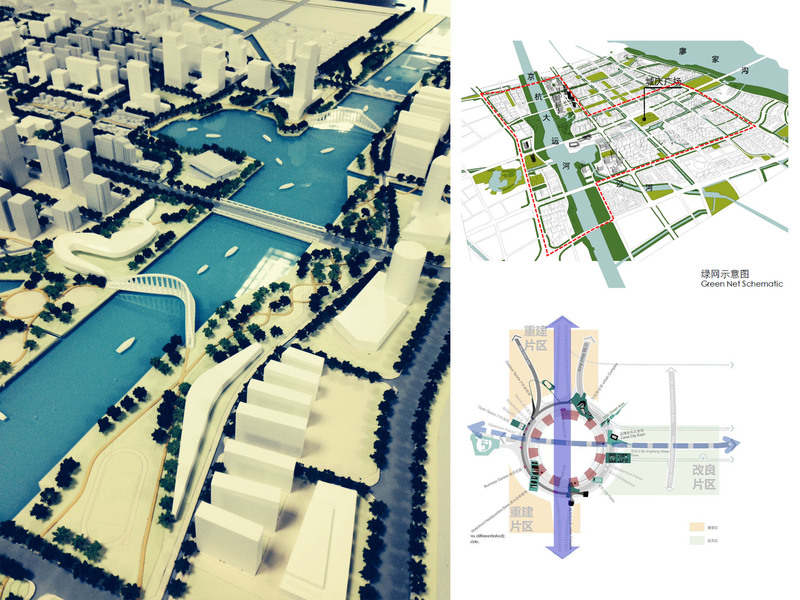 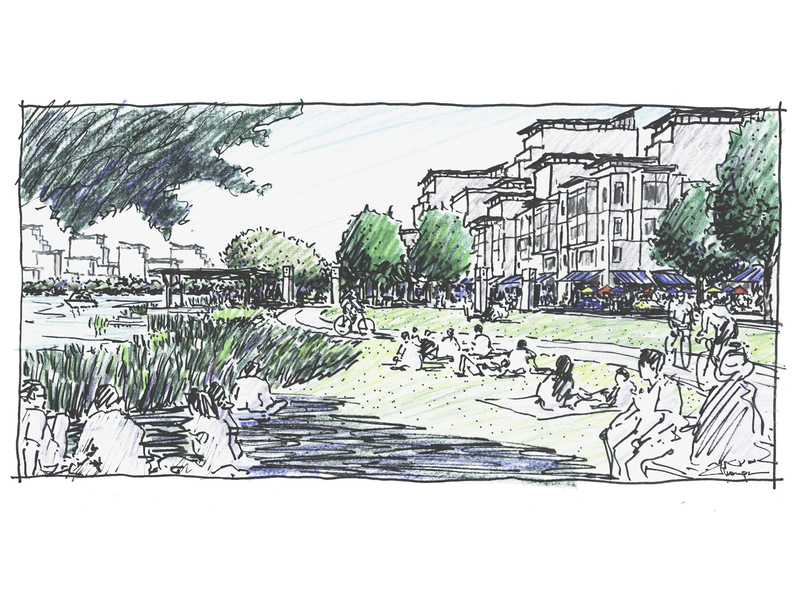 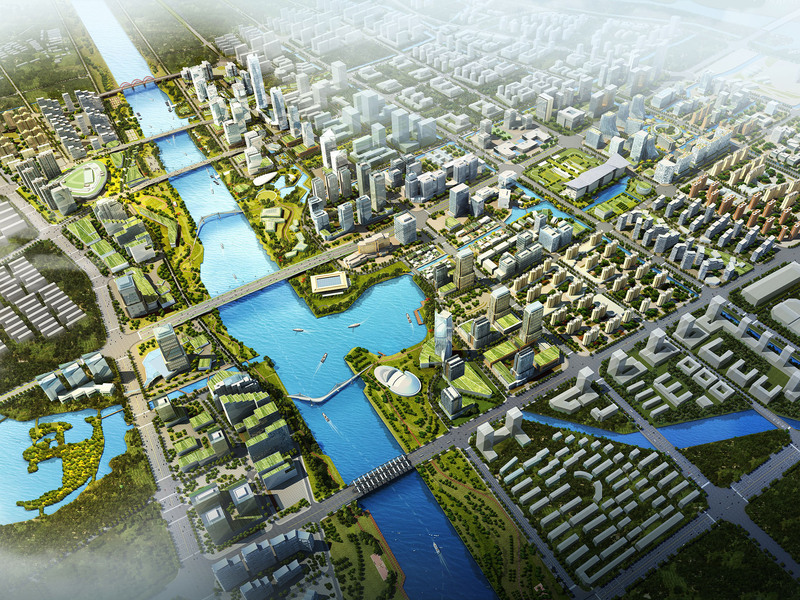 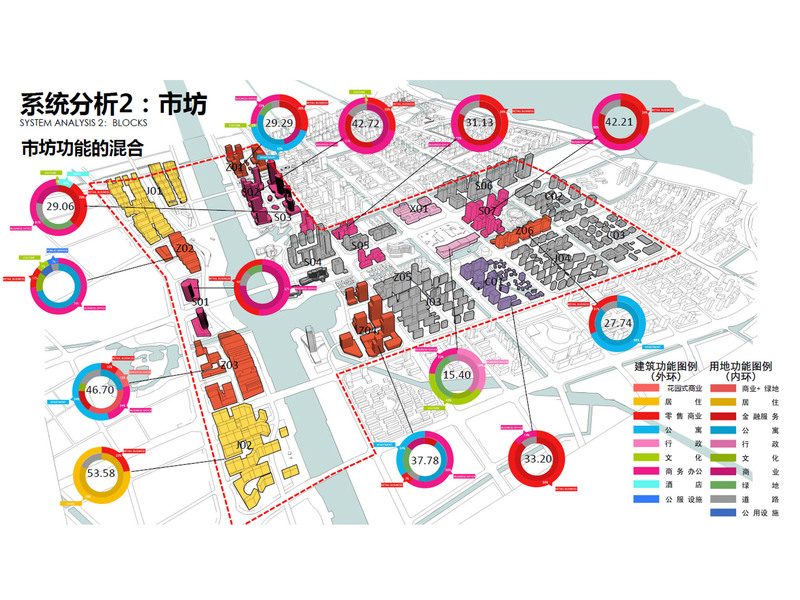 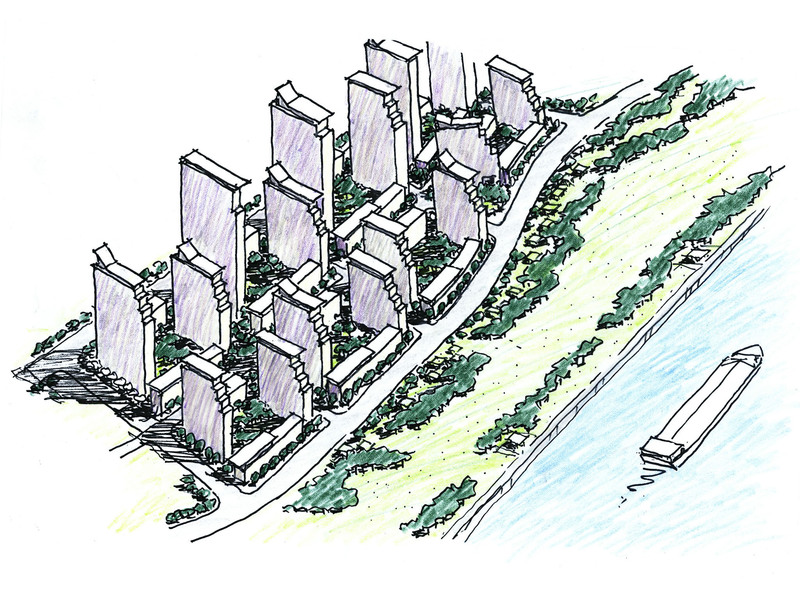 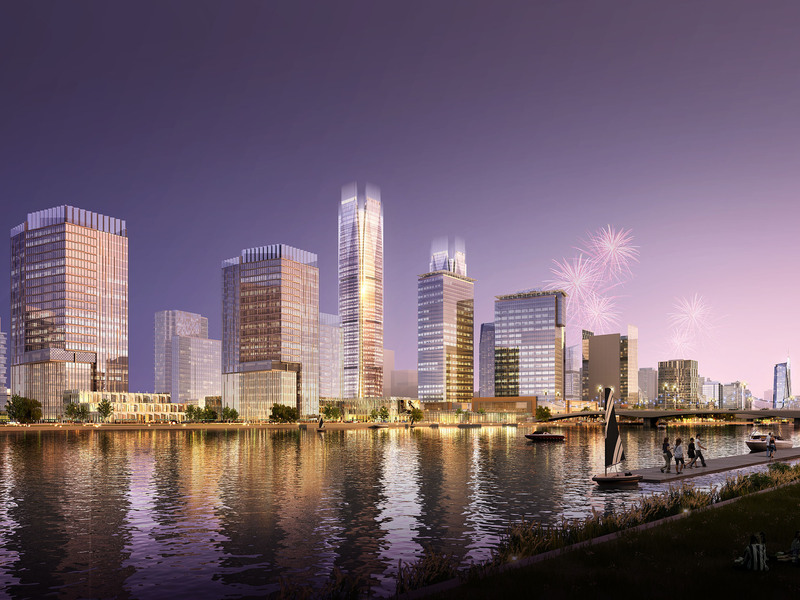 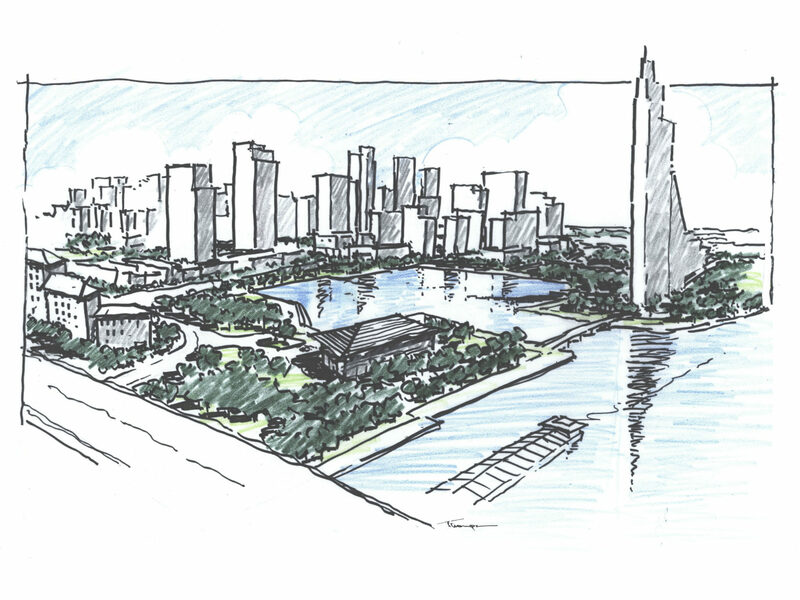 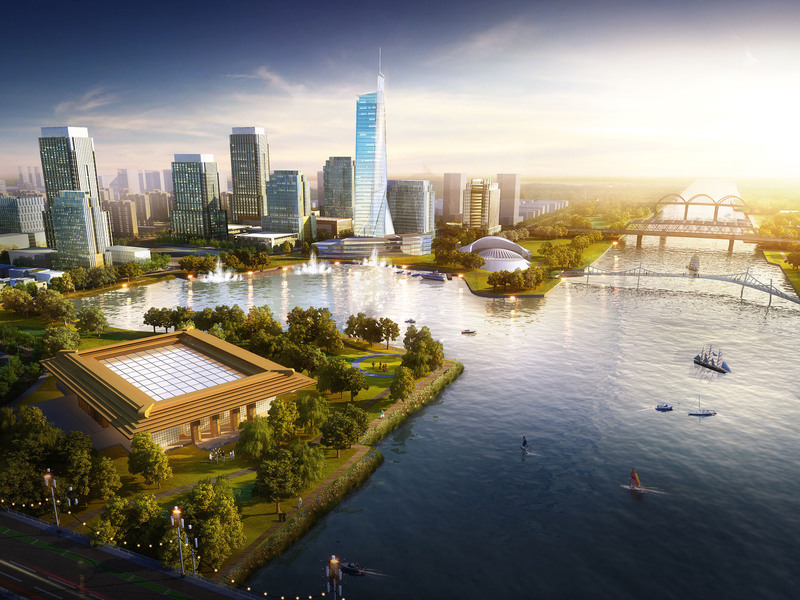 Assembledge+ served as Chief Urban Designer working with a local Chinese planning firm, UPDIS, to create this urban design plan for a new Gateway District in the City of Yangzhou along the historic Grand Canal from Beijing to Hangzhou. 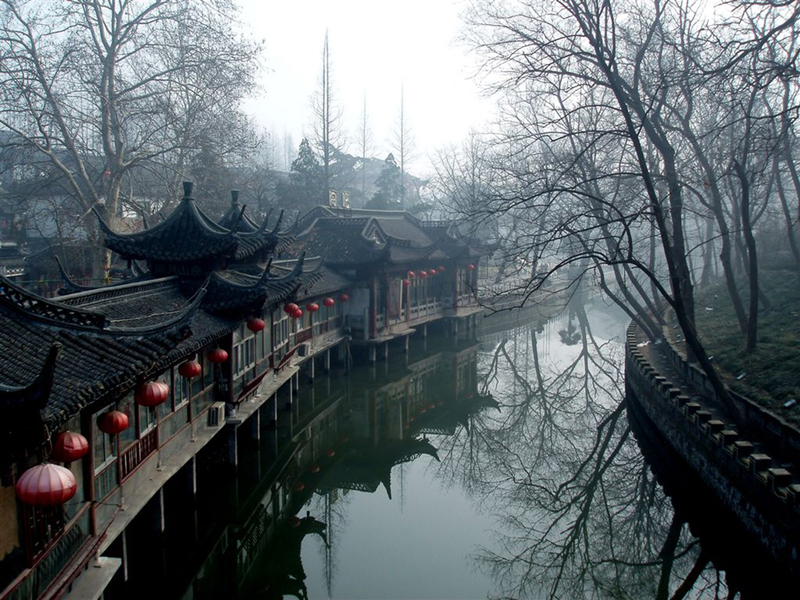 The Grand Canal was recently listed as a World Heritage site and has historically played an important role in the economic and physical development of Yangzhou. 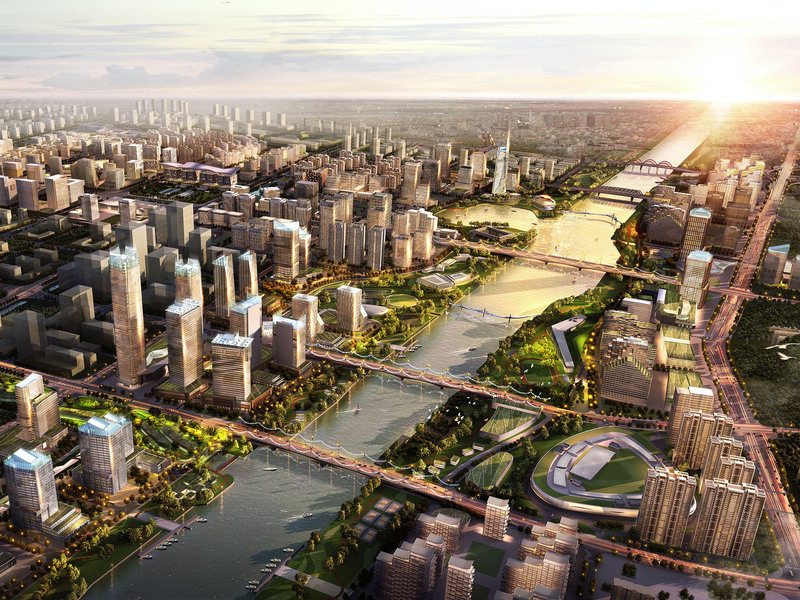 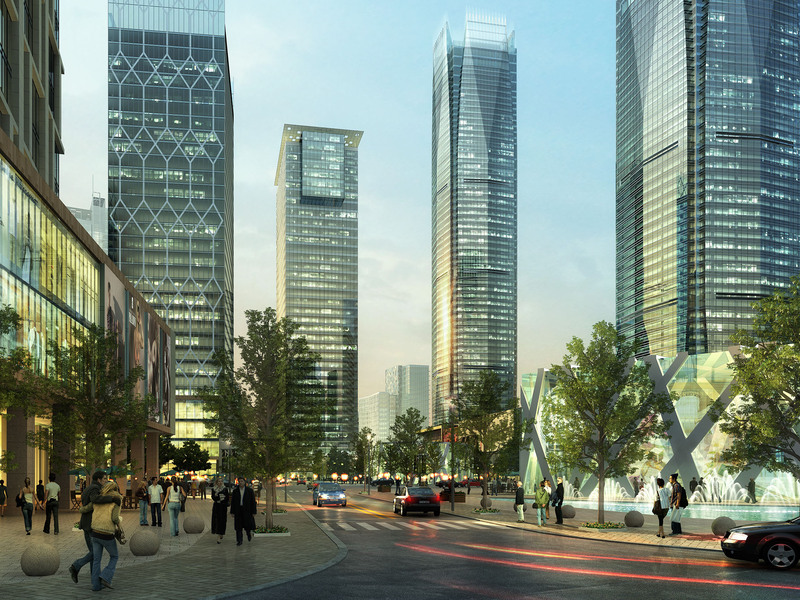 Located just west of the historic center of the City along Wienchang Road, a major east-west thoroughfare, the site surrounds the intersection of the Grand Canal and Wienchang Bridge, creating a new city center with office, civic and municipal buildings, residential, retail commercial as well as entertainment and park uses along both sides of the canal celebrating the canal and its importance in the development of Yangzhou.